At MAHAR we offer our students a lot of advantages with a cutting edge in technology, teaching methodologies & mediums creating a knowledge pool, based on market research & global practices. We understand your career aspirations well & also the requirements, standards and the expectations of the hospitality industry. We bridge the gap between the two and in this way always exceed the expectations form all sides. 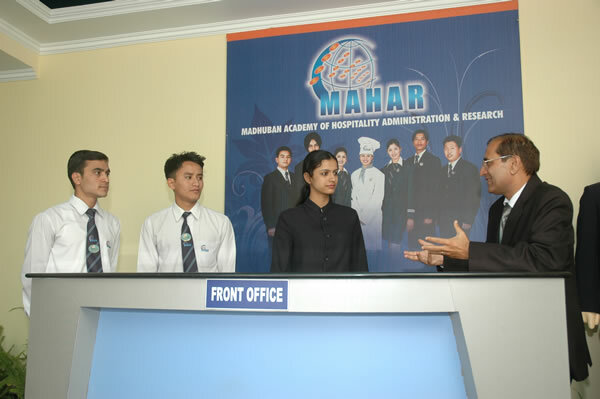 MAHAR offers its students a combination of advantages that makes its education among the best. The only Hotel Management Academy in Uttarakhand state, attached with a Four Star Luxury Hotel for day to day live wire training. 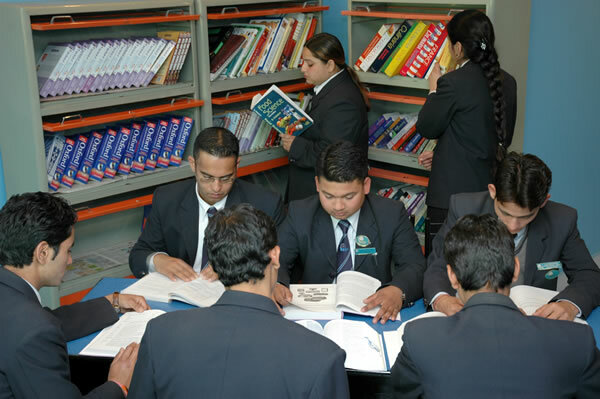 Academic campus at par with international standards. Centrally located & easily accessible by rail, road & air. Global certification for a global career. Highly professional and learned faculty. Highly effective training & placement cell. 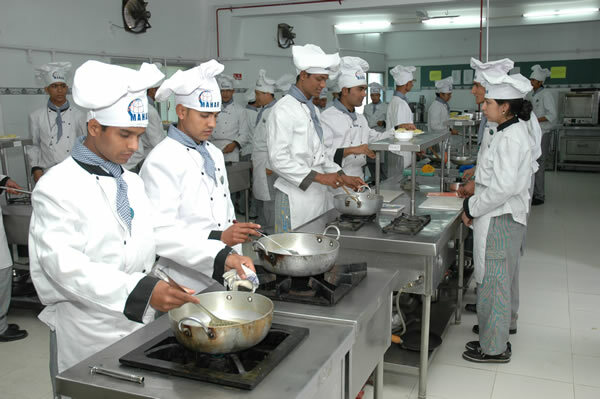 Course choice (Degree/Diploma/ Specialization in/ F&B Production / F&B Service / Front Office / House Keeping). Catering to the needs of various student community (10th, 12th, graduates & post- graduates). MAHAR has a Fully equipped food production lab with the latest equipments- a training kitchen for basic, quantity and advanced preparations, Bakery & Confectionery lab. Its Labs are equipped with all kinds of preparation methodologies like Gasoline, Electric, Conduction, Convection & Earthen. 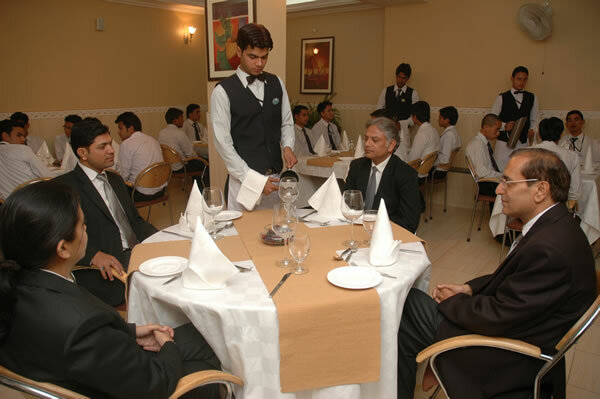 The Instuitute has a well furnished and equipped training restaurant with a mock up bar. The training restaurant provides an edge to students with the latest trends and influences of the industry. The bar is well stocked for complete Bartending training tools and accessories and offers the students a live environment to practice and learn. A well designed & updated front office lab at MAHAR helps students develop their communication, social & operational skills. It caters to Role Playing, Situation handling & other front office related exercises on a regular basis. Set in a live atmosphere, it offers critical inter-action tools to the students. The lab natures the wide range of skills required for successful housekeeping and therefore the students are subjected to practical training in the Academy. The students are subjected to practical training in the institute. The student’s are taught cleaning, bed making and maintenance of the Guest room and cleanliness of public areas. Ultra Modern, Amphitheatre Styled centrally air conditioned, spacious & well seated lecture halls at MAHAR give the students a conducive environment for discussions & learning’s. Audio visual aids in each classroom makes learning easy & interactive. The students avail the benefits of studying in classrooms equipped with state of art teaching aids. A well stocked air conditioned library and reading room where various vernacular and foreign language dailies, latest books, periodicals and journals are regularly available. It has a range of audio-visual softwares both national and international, covering all aspects of the Hospitality Industry. Air conditioned HI- Tech Computer lab to give the students hands-on experience with HMS and application packages and explore the exciting world of the web through internet. The computer lab is also loaded with all software required for the student to understand back office operations in the hospitality industry. There is a separate cafeteria in the building having enormous sitting capacity with beautiful Shivalik Hill view on the backdrop. The buffet provides hygienically cooked food. An open area is available for the students to enjoy academic and general conversation. The MAHAR Hostel is an exquisite property with all rooms ensuite in a very modern building with various recreational facilities. 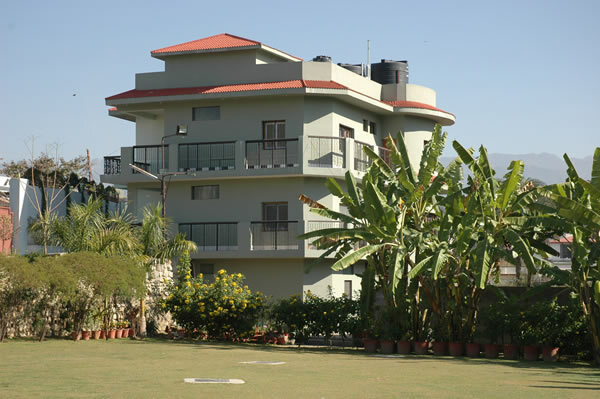 The MAHAR hostel is managed by a team of trained staff and they know how to make your stay in MAHAR a memorable one. The Hostel Building, infrastructure and surroundings are of its own class. There is no better place for you to appreciate the joys of nature, to become environmentally conscious than to be at our campus. The institute’s hostel facility is currently available for boys only.